"I can't express eloquently enough - just how much I truly enjoyed MediaPost's Brand Marketer's Summit this week. The events, panels and roundtables you guys host never cease to educate. I look forward more of your future upcoming events. Thank you!" "The MediaPost Brand Marketer's Insider Summit as one of the best conferences I've attended. The content was relevant to the needs of marketers today, the spectrum of speakers were amazing, and the event was executed flawlessly - but what made this summit exceptional was the small, intimate size of the event. The exclusive size of the conference helped foster better networking through in-depth conversations with some of the best thought leaders in the industry. Well done MediaPost!" 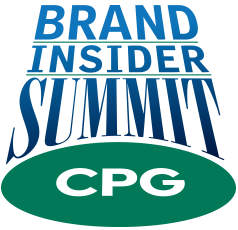 "I can definitely say this Brand Marketer's Summit was one of my favorite conferences so far. Very glad to have attended!"